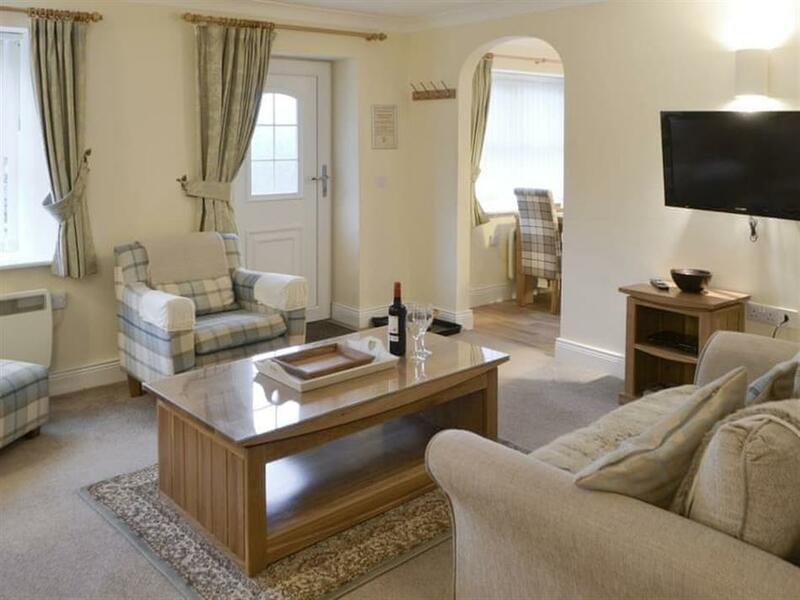 North Tyne Cottage at Boatside Cottages in Warden, near Hexham, Northumberland sleeps 4 people. Boatside Cottages near Hexham are set in the rural village of Warden; this pair of semi-detached holiday homes, South Tyne Cottage (ref UK10598 [South Tyne Cottage]) and North Tyne Cottage (ref UK10600) are ideal as a great base to explore the whole of this magnificent county either on foot, on bikes or travelling in your car. North Tyne Cottage, the larger property, sleeps four guests, two in a large comfy super king-size bed, with another twin room. South Tyne Cottage, which sleeps two guests, is next door and both are equipped to very good standards with generous size fridge/freezers, washing machines and tumble dryers and with a TV in the bedrooms. The pub is opposite which belongs to the owner, and serves great locally sourced food and drinks, the owner will arrange a discount voucher to use during your stay. The cottages are only 150 yards from a lovely holistic therapy centre. Warden is a very small hamlet in the heart of the Tyne Valley and once was the site of an Iron Age Fort. Nearby Hexham is only 3 miles away and is easily reached, here you will find plenty of shops, old antique shops, inns and a Tuesday market set in the Shambles. The abbey is worth a visit with an old Saxon crypt steeped in history. The cottages are well situated to explore Hadrian’s Wall and there are museums and forts dotted along the route. The A69 is only a mile away, and you can easily access all directions making it easy to drive over to the heritage coastal route where you will find miles of golden sandy beaches and a few castles along the way. Alnwick is a great day out and the castle is famous for a scene in Harry Potter, enjoy the cobbles and perhaps call at the Alnwick Gardens and Treehouse. Fishing can be arranged via the owner. You will find the shop 2½ miles from Boatside Cottages near Hexham, with the pub and restaurant 75 yards from Boatside Cottages. North Tyne Cottage has a step to the entrance. Living room: With 32 Freeview TV and DVD player. Kitchen/dining room: With electric oven, electric hob, microwave, fridge/freezer, dishwasher and washing machine and tumble dryer. Bedroom 1: With super king-size bed and 18 Freeview TV. Bedroom 2: With twin beds and 18 Freeview TV. Bathroom: With shower over bath, toilet and very low ceiling. Sitting-out area with chair and barbecue. Both properties: Electric radiators, electricity, bed linen, towels and Wi-Fi included. Travel cot and highchair available on request. Courtyard (shared with other property on-site). Fishing on-site available on request. Parking in pub car park, 75 yards away. No smoking. Pets allowed at Boatside Cottages - North Tyne Cottage. For a better idea of where Boatside Cottages - North Tyne Cottage is, you can see Boatside Cottages - North Tyne Cottage on the map below. Boatside Cottages - North Tyne Cottage is in Northumberland; should you be on the lookout for a special offer, you can find all the special offers in Northumberland. It's always worth checking to see what is on offer at the moment. 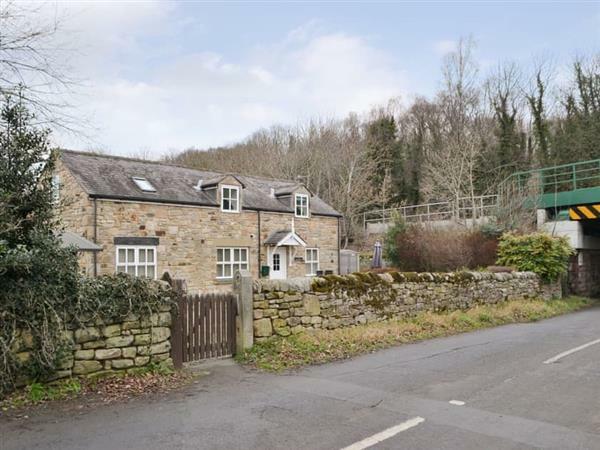 Do you want to holiday near Boatside Cottages - North Tyne Cottage (UK10600), you can see other cottages within 25 miles of Boatside Cottages - North Tyne Cottage; have a look to find your perfect holiday location.